Please reference attached cover letter. As a validator, I use a system database to determine whether or not citizens that have signed legal petitions are registered to vote in the state of California. In this position, I teach underprivileged foster children, as well as more privileged children, how to ride and care for horses at a wide variety of levels. In addition, I help run the horse ranch, caring for feed, saddlery, wellness, and exercise of 28 horses. As a lifeguard/Swim Instructor Aid for the La Mesa municipal pool, I received the first aid and CPR qualifications to lifeguard the pool. In addition, I assisted in teaching children from ages 2-14 how to swim throughout a variety of different levels. Due to my employment at La Mesa Municipal Pool, I am first aid and CPR certified. I have been an active member and volunteer of a horse ranch for over 5 years, dealing with the health of a variety of animals such as horses, dogs, cats, chickens etc. Additionally, I have been employed at this ranch since June 2015. My area of responsibilities include providing appropriate feed for 28 horses of a variety of breeds, ages, and sizes, general first aid for the horses, sizing comfortable saddlery, and ensuring all the horses are properly and continuously exercised. I have extended work experience with children of a variety of ages. I have taught both swimming and horseback riding lessons to kids, as well as worked as a nanny to multiple families. In addition, I specialize in teaching horseback riding lessons and providing equine assisted therapy to children who are currently under the foster care system and often have learning disabilities. Lifeguard Certification which includes American Safety & Health cerification in CPR, Basic First Aide, Bloodborne pathogens, and Emergency Oxygen. I have made it a personal objective of mine that my life will never lack the ambition necessary to make sacrifices that will benefit others, because I believe that a life will be fulfilling depending on what you do to make a difference in this world. My name is Kelly Peterson and I am seventeen years old. I can be described as someone who is very optimistic and ambitious; I am always looking forward to the next exciting stages in my life. I am very passionate about giving back and one of my main goals in life is to use my experience with horses in order to provide equine assisted therapy to underprivileged foster children. In addition, I want to obtain a degree in Animal Science and become an equine vet. Texas A&M University is by far my first choice of college. 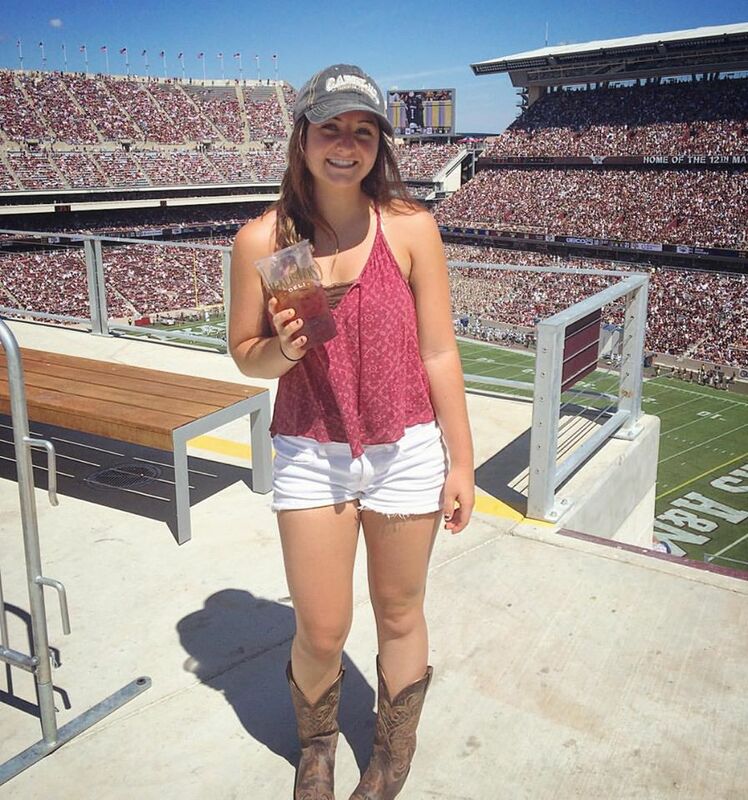 It appeals to me because I love to travel and would love to experience life outside of my home state, I was drawn to the emphasis of patriotism and tradition within Texas A&M, and am aware that the animal science and veterinary program at TAMU is recognized as of the best in the country. I believe that due to the work ethic and moral foundation I have received through my community service, extracurriculars and academics, I can be an asset to Texas A&M university. I have large goals to become an equine veterinarian and believe i can find success to make my goals a reality at this university. Aside from my dedication to academics, there are many extra-curricular activities that are a large part of my busy life. My most important extra-curricular activity is volunteer work with a nonprofit organization, Challenge Ranch Inc. At this horse ranch, I teach foster children who attend the ranch for free horseback riding, horsemanship, and general life skills. Not only do I assist with working with the children, but I also ride the horses myself. I have competed in countless horse shows, as well as over ten 25 mile endurance races with the horses. 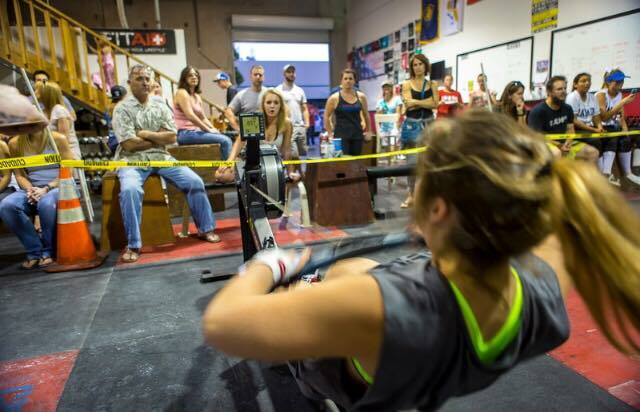 In addition, I am a crossfit athlete and attend the gym approximately 5 times a week. Fitness and nutrition have become a huge part of my life and applies not only to my workouts, but my diet and general, everyday habits and tasks. Finally, I am the vice president of 4 years of Valhalla High School's Pink Ribbon Club. My Mother is a four-year breast cancer survivor, and as vice president, I have helped to reach out to many men and women affected by breast cancer by making blankets and baskets for chemotherapy patients, volunteering at breast cancer fundraising events, and writing letters to women going through breast cancer. Our club has grown tremendously in the 4 years it has existed. One of the most rewarding aspects of my life has been my volunteer work at Challenge Ranch. Over the past 5 years, I have spent thousands of hours every week teaching horseback riding lessons to foster children, helping with the manual work around the ranch, taking on the role as a family member for children who have none, etc. and I would not trade one second of it. This volunteer work has guided my path for what I want to do for the rest of my life and has shaped me into the individual I am today. My participation in this ranch has taken me on amazing adventures; in March of 2014 I traveled to Belize because Challenge Ranch is looking to begin another nonprofit horse ranch for the foster children of Belize. It is a high possibility that in 2015 I will go to Belize for a second time to visit the orphanage again, and help build the homes, tack and feed sheds, horse corrals, etc necessary to run the horse ranch for these children.